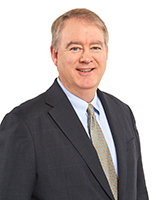 Michael Webb serves on Wolfe Laboratories’ Board of Advisors. Mr. Webb is President and CEO of Tyrogenex and its sister company, Xcovery. He has more than 25 years’ experience in growing biotechnology companies and a track record that includes raising more than $350 million in private and public equity markets. Previously, he was president and CEO of Allegro Diagnostic Corp., a venture-backed, molecular diagnostics company focused on lung cancer that was acquired by Veracyte in 2014. Prior Allegro, he founded and served as President and CEO for Anchor Therapeutics, Inc. During his time as President and CEO of EPIX Pharmaceuticals, he led the company from a Series A-round financing to an industry leader position in pharmaceuticals for diagnostic imaging and listing on NASDAQ. Mr. Webb has served as Chair of the Massachusetts Biotechnology Council, founding chairman of the United Way of Massachusetts Bay’s Math, Science and Technology Initiative and is a member of several boards. Mr. Webb holds an MBA from Northwestern University, a Master’s in International Relations from Sussex University and a B.A./B.S. in Biochemistry and Economics from the University of Kansas.